Sometimes a taxpayer is unable to make any payments to the IRS because of the loss of a job or other reason. Sometimes a taxpayer is unable to pay because of old age or poor health. When faced with such a situation, the IRS is forced to decide whether to expend additional resources to collect the liability or decide whether to deem a taxpayer’s account as temporarily uncollectible. Being deemed temporarily uncollectible is an additional option that may be available to a taxpayer to resolve his or her tax problems. The IRS may deem a taxpayer’s account as temporarily uncollectible for one or more of the following reasons: hardship, bankruptcy, no assets, no job, illness, old age or an inability to pay. If a determination is made that a taxpayer is uncollectible, the taxpayer’s account is removed from active IRS collections. However, although a taxpayer’s account may have been removed from collections, the IRS is not legally barred from attempting to collect a taxpayer’s tax liability in the future provided that the collection statute of limitation is still open. Furthermore, penalties and interest will continue to accrue on the unpaid liability. While this option may be available to a taxpayer to temporarily resolve his or her tax liabilities, it is often difficult for a taxpayer to learn whether the IRS has deemed them as uncollectible because, as a policy, the IRS does not generally disclose that a taxpayer has been deemed uncollectible. 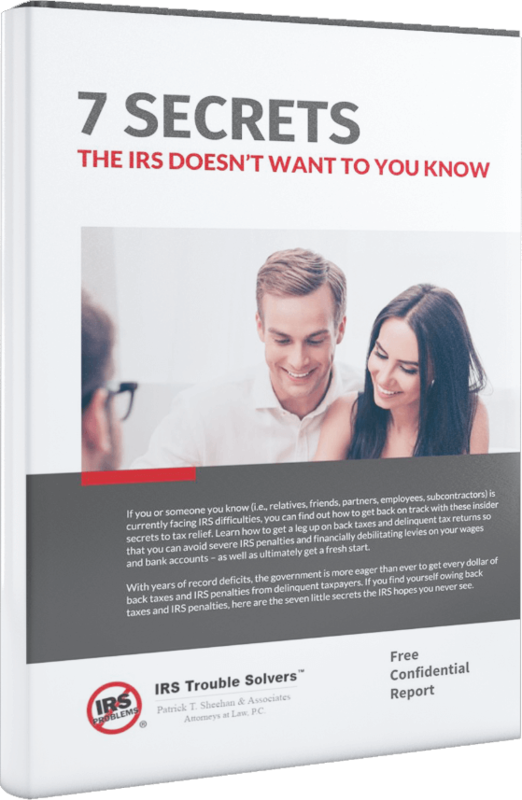 This IRS policy is designed to encourage a taxpayer to continue to make an effort to address his or her tax liability. Nevertheless, the IRS Trouble Solvers™ have the ability to determine a taxpayer’s status within the IRS. We can determine if being deemed uncollectible is an appropriate option for you. IRS Trouble Solvers have successfully represented taxpayers in determining their collection potential and whether being deemed uncollectible is a viable option. Our firm possesses both the skills and experience necessary for success when dealing with the IRS regarding this option for resolving a taxpayer’s tax liabilities.